Garland Activewear’s mission is to create the finest quality leotards and athletic apparel with great fashion flair, perfect fit, attractive prices, and to deliver them to our customers with unparalleled customer service. Once upon a time, there was a girl who loved gymnastics, but just could not find a fashionable leotard. She looked high and low but none were to be found. It was the 1980’s after all. To the rescue came her Mom in Shining Armor, who happened to be fashion design genius/seamstress. Soon this little gymnast was flipping across the gym, the envy of all of the other little gymnasts, in her custom Garland Activewear leotard, and Garland Activewear was born. In the 1980’s, high quality and fashionable leotards were hard to come by! Owner/found/creative genius Connie Garland aka Mom in Shining Armor found herself sewing these gymnastics leotards to outfit her oldest daughter, Adriann Garland, the first Garland Girl. What started as a solution for hard to find leotards soon turned into a business. When Adriann wore her Garland leos around her gym and to local competitions, other girls wanted them too! 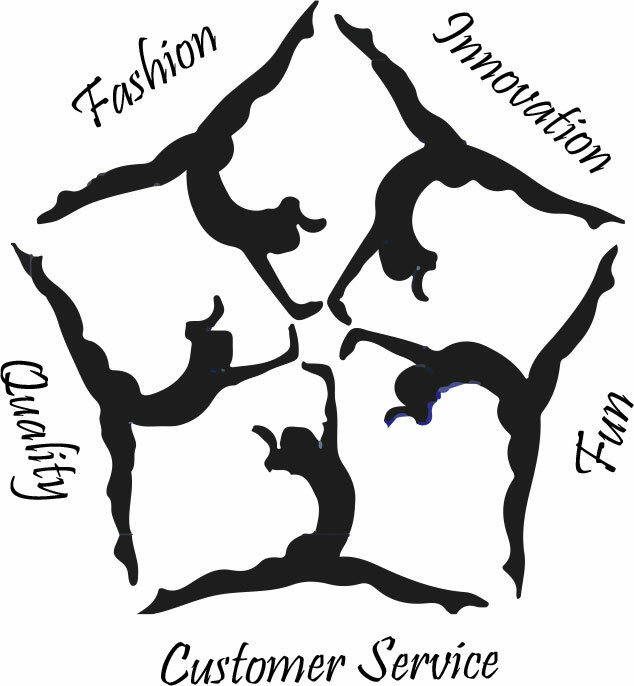 The company was created and founded with a mission to provide fun, fashionable, innovative and high quality leotards for the most discerning gymnast. Fast forward to present times, Garland Activewear provides a full range of gymnastics apparel including custom competition, wholesale, consignment, meet leotards and boys apparel to gymnastics across the USA and around the globe. Despite our growth, we continue to follow our original values: unparalleled customer service, innovation, fashion, quality and fun.